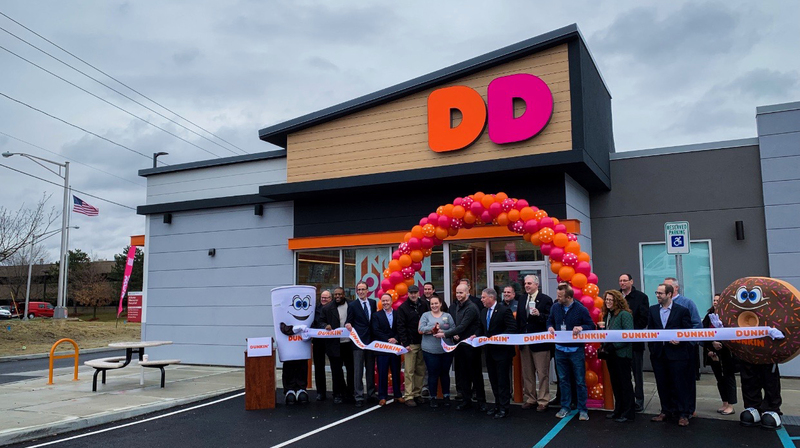 Dunkin’ Donuts new store concept has made its way to the Capital Region with the introduction of the “next generation” Dunkin’ at 500 Northern Boulevard in Albany. The new name, logo, and store design help to bring the Dunkin’ brand into the new year with a an updated, modernized look. 500 Northern Boulevard is a newly constructed multi-tenant retail building. Inline and Endcap spaces are still available for lease, please contact Andrew Peckage for more details.